Small bromeliad with incredible changing colours. Leaves are thick and glossy, with some typical puckles on the base. Flowers are bright violet-blue. 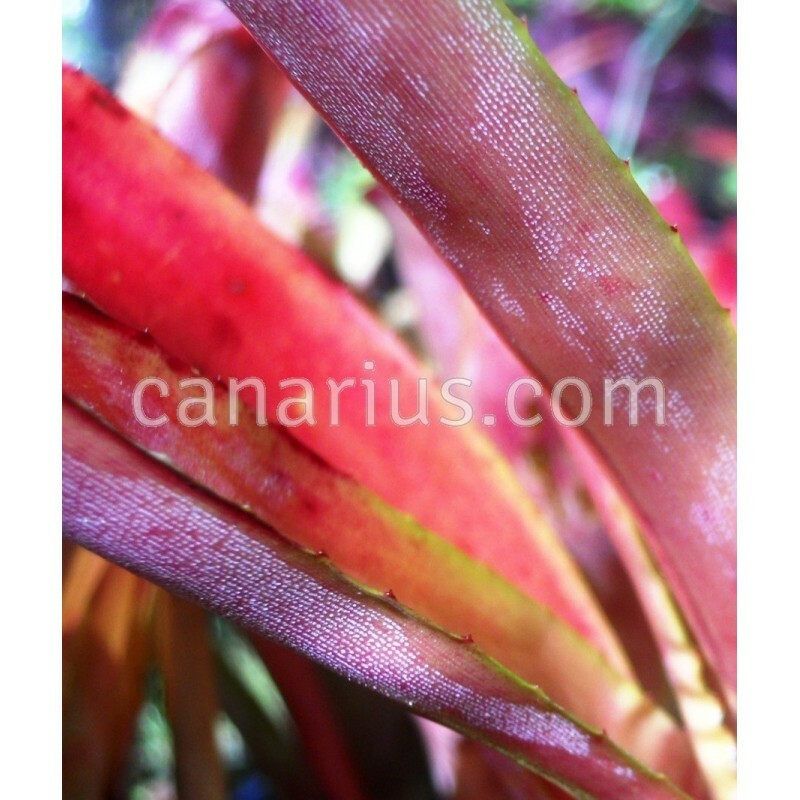 This plant came with no name but it eventually keyed out as Neoregelia amandae. Small bromeliad with incredible changing colours. Keep in high light and see... Leaves are thick and glossy, with some typical puckles on the base. Flowers are bright violet-blue. This plant came with no name but it eventually keyed out as Neoregelia amandae. 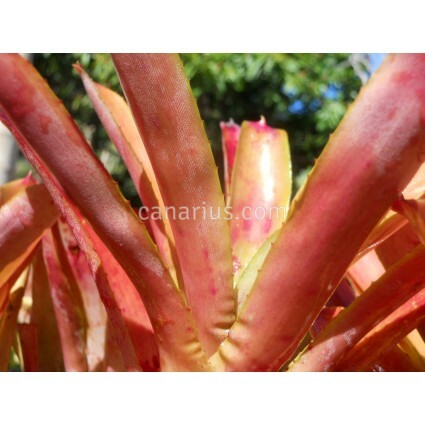 We offer one large rooted pup of Neoregelia cf. amandae , of 10-20 cm, able to flower in one year. We ship it worldwide.